Ever heard it said that cats don’t like water? OK – that might usually be true. But it’s definitely not true for the Purrmaids: Coral, Shelly and Angel. These coast-dwelling kitties are half-mermaid and half-cat. Oh, and they’re besties all the way through! There’s nothing they love more than splashing around in the water, exploring the beaches and islands near their home at Kittentail Cove. Now the Purrmaids are off to Tortoiseshell Reef, hunting for hidden treasure. But it’s a long way to swim, and Coral is nervous. 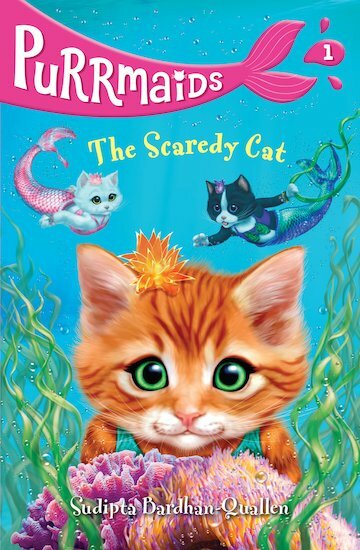 Can this scaredy cat learn to be brave?